Amharic Alphabet Quiz software uses practice and quiz and mode to teach Amharic reading. The alphabets are organized by shape and color. 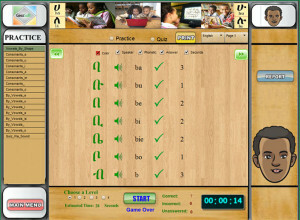 In Practice mode, the user learns the alphabets on the screen. 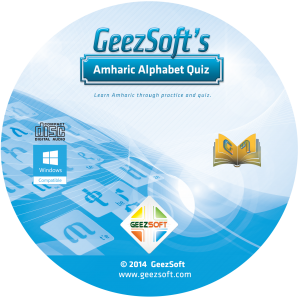 In Quiz mode, the user hears an alphabet sound and clicks on the matching alphabet. Immediate feedback of right and wrong is shown on the screen, including number of second took to answer each question. 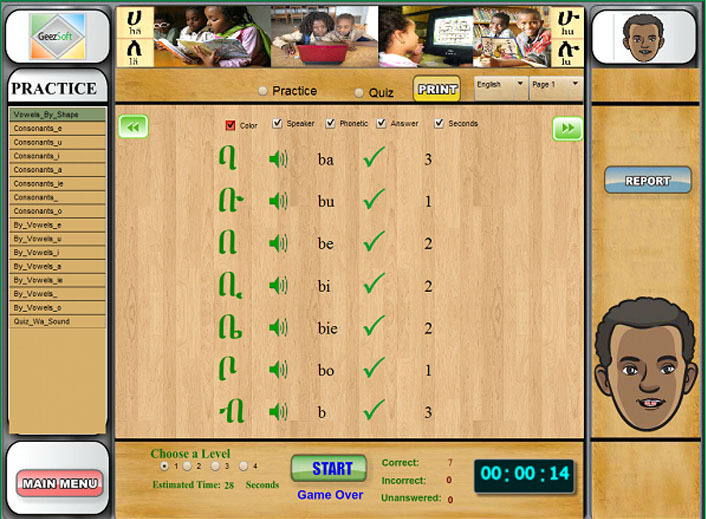 For more challenging quiz, the user can switch off the phonetics relying only on the Amharic alphabets.